Yes, this is a copyrighted character (© Marvel Entertainment Group), used without permission! Don't worry, it's okay, so long as I'm not SELLING the image. I did this as a sample to send to all the major comic publishers & the like. Two weeks later was September 11, 2001. I later made this into a bumper sticker and hung it on my van to show my colors. 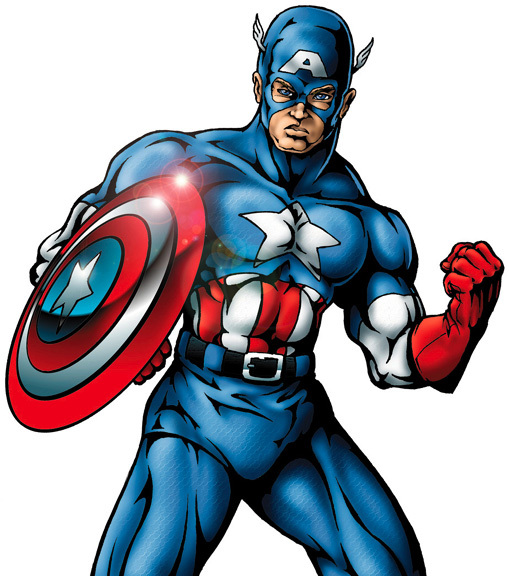 Captain America always represented the best of America to me. The victorious underdog. The courageous common man. I hope his and his country's colors fly with freedom forever!